Anyone who knows a little about me (or who doesn't know me but has peeked a little at my social media pages) likely knows that I'm a die-hard Cubs fan. But I'm also a baseball fan. I am just in love with the game. And I'm in love with Chicago baseball and Chicago fans and Chicago's baseball neighborhoods and Chicago's baseball neighborhood eateries. So, when we got an invite to check out a pub on the south side just three blocks away from Guaranteed Rate Field (it'll always be Comiskey to me! ), I was happy to head there for a bite. 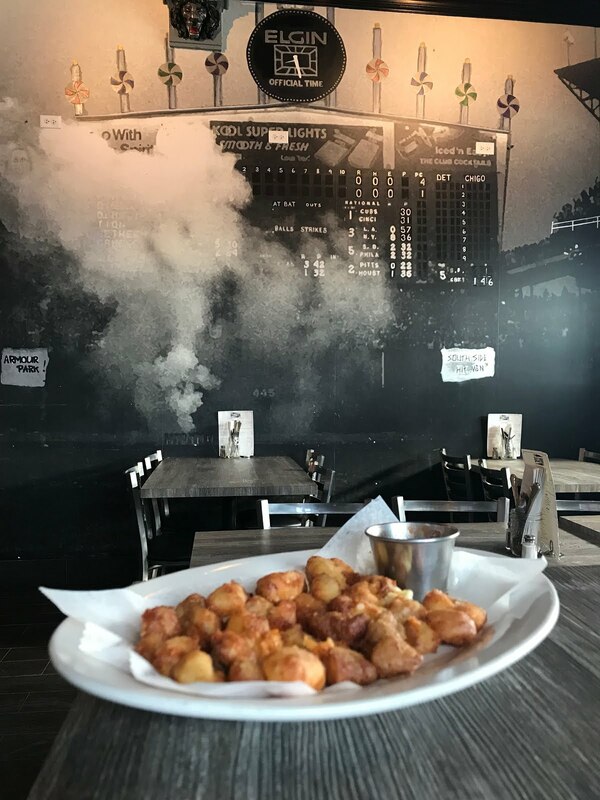 Ballpark Pub is a fun little neighborhood tavern where the baseball touches tug right at my little baseball-loving heartstrings. They've got seats from the ballpark. A to-scale batter's box at the entrance. Logos on the wall. A big photo of Bill Veck looking down from above. An awesome mural on the back wall with a scene depicting the infamous Disco Demolition Night at Comiskey Park. There are also other cool features to the place that I loved - 16 beers on draft (from a homemade steel-pipe draft), plenty of screens for watching all kinds of sports, 20+ USB ports along the bar for charging your phone or other devices and a bar top made from an old bowling lane. 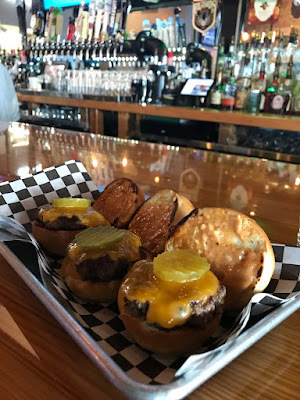 But, all the baseball emotions aside, we were there to try the food and while sometimes a neighborhood pub can be a little disappointing in the food department, this one was not in the least. They don't have an over-the-top menu with a crazy number of items, which is good -- figure out what you do best and do it. And they do. 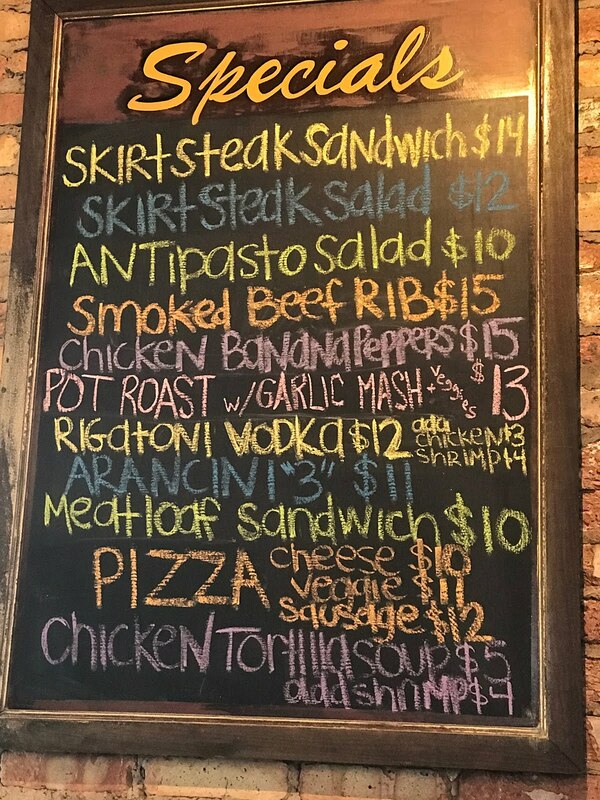 They do have a sizable list of specials with a wide variety that are rotated on occassion. 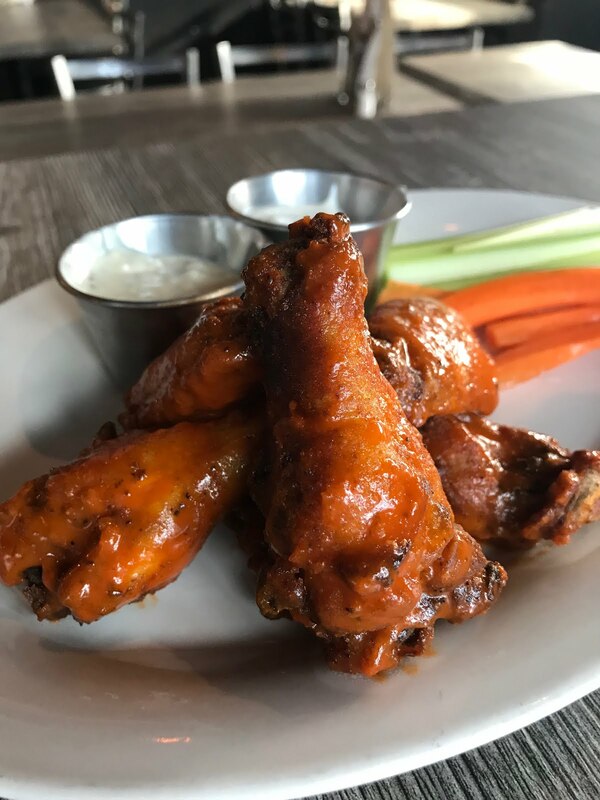 In addition to their board of specials, they are currently running wings for 40 cents each. I'm not one who really orders chicken wings (it's just a weird lazy thing for me -- seems like a lot of work for a little bit of meat), but hubby placed an order of a half-dozen wings with buffalo sauce. I do love buffalo sauce and these wings really made me want to eat chicken wings more often. That sauce was on point, the meat was tender and the bleu cheese dipping sauce was pretty awesome. 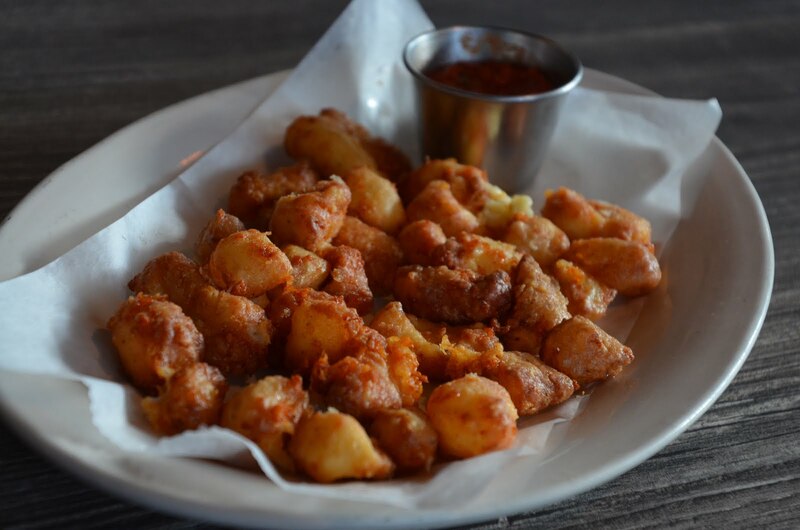 I also noticed that they had fried cheese curds on the menu - and after a few questions I was assured that they are genuine, good 'ol white cheddar Wisconsin cheese curds. How could I turn those down? It was a hefty portion just as good as you'd get at any roadside spot north of the IL border. We also tried some cheeseburger sliders as well as some brisket sliders. 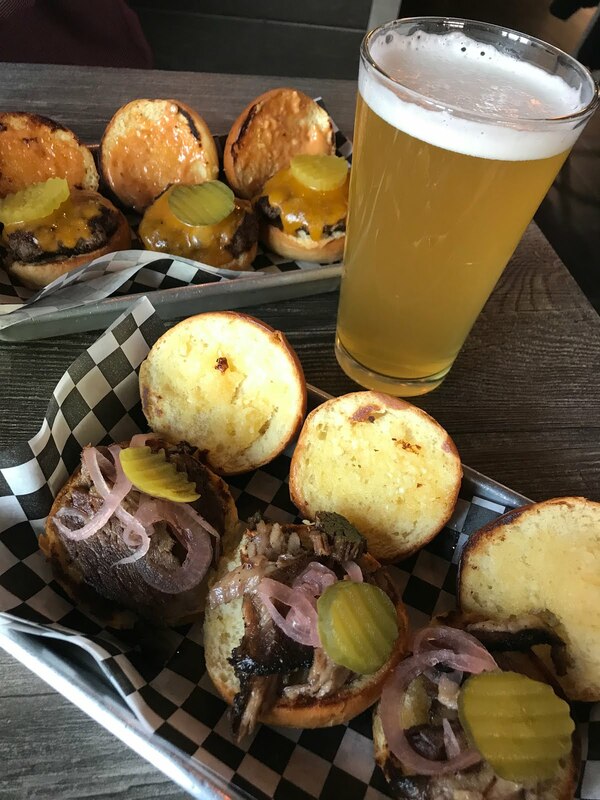 The brisket and pork are smoked in-house and the brisket was super tasty, served on toasted brioche buns. There are several things on the menu that make great shareables. Baseball Pub also does Tuesday night bingo. It's free and you can win meals as well and have a chance at a big progressive cash jackpot. Draws a pretty good crowd. It's not your grandmother's bingo. I chatted for a bit with Nick Bertucci, who is co-owner of the place along with his business partner and childhood buddy, Rich Rogulich. 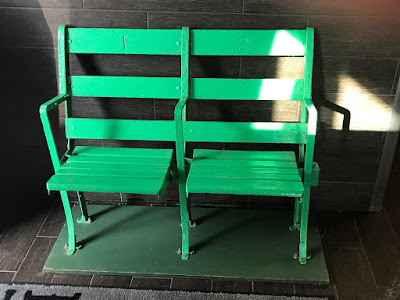 Both have serious ties to food and baseball - both are lifelong residents of Bridgeport and both of their families have been operating food stands and catering within the ball park for decades. Bertucci's family started doing catering at Comiskey in the 70's, a year before he was born. He said he's grown up around food and baseball - and started helping out his parents out in the family business as a young kid. He said some of the big sellers are the signature burger, ribs, the pot roast sandwich, meatball sub and brisket nachos. The pub is just a baby - it's been there less than 18 months, but it shows all the signs of being there for many years in the future. 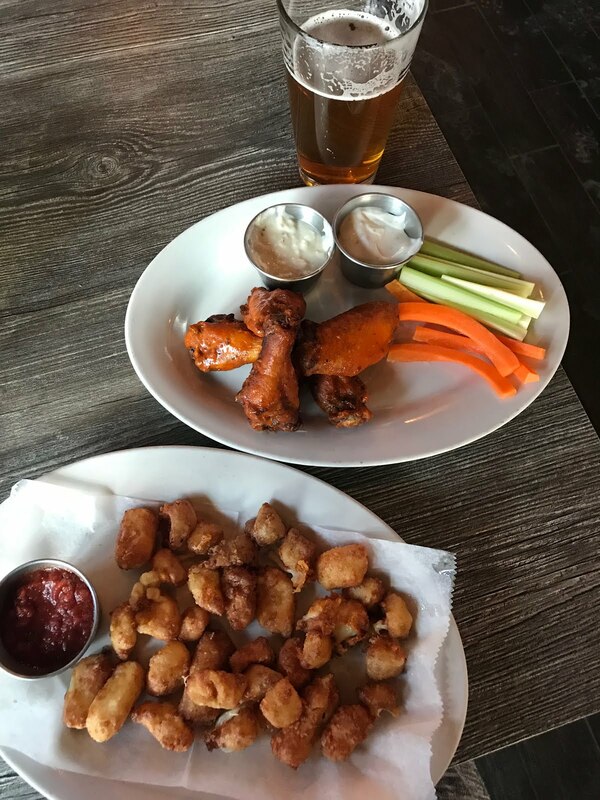 If you happen to be heading to a game this season, stop in for a pre-game meal or a celebratory drink (or two or three) and some bar bites following a win. 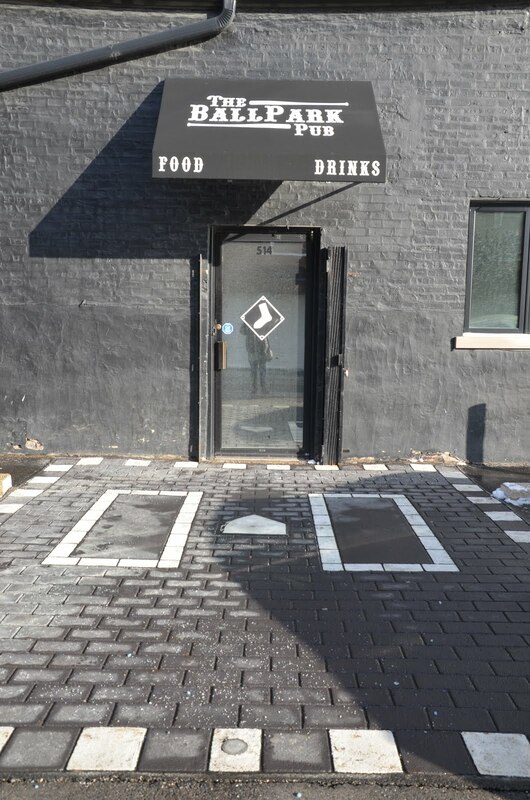 They'll be adding patio seating this spring, too. 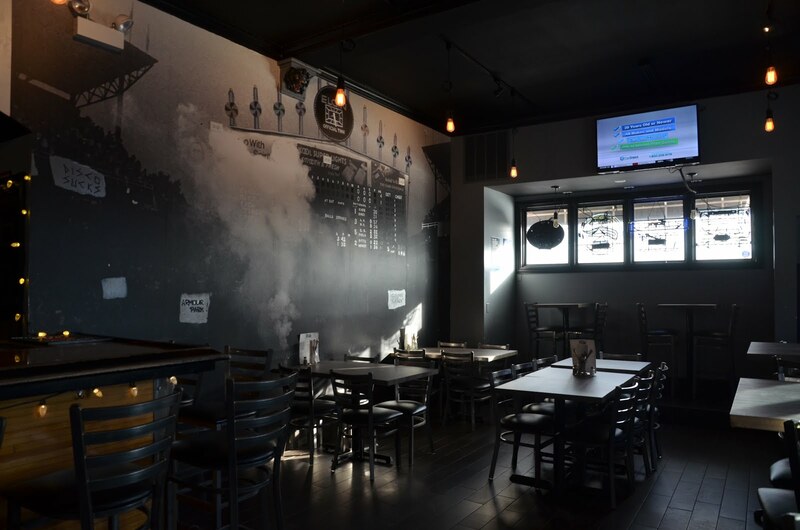 Or for a quieter low-key lunch, stop in now during the off-season and take in the atmosphere without the crowd.